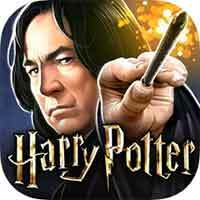 Guide for Year 4 Chapter 6 Harry Potter Hogwarts Mystery Explore The Forbidden Forest Walkthrough – It’s time to gather your friends and entter the Forbidden Forest where you’ll encounter more dangers than just the Cursed Vault. 1. Meet with Charlie to talk about entering the Forbidden Forest. 2. Talk to Bill about joining you in the Forbidden Forest. 3. Meet your friends to fly into the Forbidden Forest! 4. Meet your friends in the Forbidden Forest! 6. Search your brother’s room with Tulip, and an unexpected guest. 7. Explore the Forbidden Forest with Tulip / Merula / Penny. I flew off with Charlie before finishing my classes, I can no longer get the lessons (they don’t show up when I tap the icon below your profile pic) is it possible to fix this?